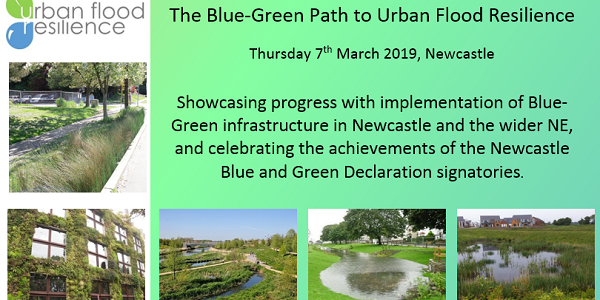 Our blog will document research challenges, achievements and personal experiences gained during the EPSRC research project “Delivering and Evaluating Multiple Flood Risk Benefits in Blue-Green Cities”. The blog will be a place for highlighting current research undertaken by our inter-disciplinary project team (located at renowned Universities through the UK) and discussing important contemporary issues in the field of flood risk management, such as the application of sustainable urban drainage systems, the costs and benefits of green vs. grey infrastructure, and the perceptions of individuals and institutions regarding flood risk management initiatives and potential directions for future policy. We will also record members’ activities, such as participation in outreach events, conferences and workshops.